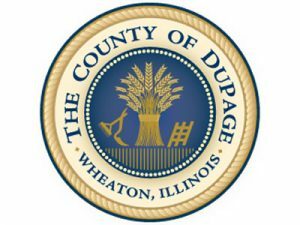 DuPage County Illinois offers senior citizen home owners the opportunity to participate in The Senior Citizens’ Real Estate Tax Deferral program. This program can be extremely beneficial to many senior citizens in DuPage but very often they have not heard of the program. We will provide you with the basic information and common questions about the program below. If you have questions about real estate law, please call our office at (630) 858-0090. What is the Senior Citizens’ Real Estate Tax Deferral program? According to DuPage County Treasurer Gwen Henry, this program allows qualifying homeowners ages 65 and older to defer up to $5,000 in property taxes and any special assessments until the day the home is sold or to within a year of the owner’s death. The State of Illinois will pay the real estate taxes. Repayment plus interest of 6% annually is made when the senior homeowner sells the property or within a year of the estate being settled. Who is eligible for the Senior Citizens’ Real Estate Tax Deferral program? You must be age 65 by June 1st of the year for which the application is made. You must have lived in Illinois in a qualifying property at least 3 years. You must be liable for payment of real estate taxes on the property. You cannot have any delinquent real estate taxes. You must have fire and casualty insurance on the property. What is the due date to qualify? You must file your application by March 1st in the year your real estate taxes are due. How can I apply for the deferral? The DuPage County Senior Services Department also offers a number of programs directed at improving and protecting the lives of DuPage County senior citizens. They work to ensuring they receive the services for which they qualify. For additional information, please contact the Senior’s Unit at 630-407-6500 or 800-942-9412. Contact our office with any questions about real estate law, foreclosure litigation, Social Security Disability, or Estate Law.